the best choices when it comes to your hosting infrastructure. Since 2002, ServerMania has been a leader in the hosting industry. Our hosting experts have compiled the following white papers to help you leverage our experience and make the best choices when it comes to your hosting infrastructure. SMEs find Montreal’s data center industry increasingly attractive as a venue for data storage and infrastructure hosting. 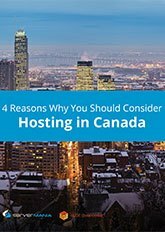 In this white paper, we’ll explore both the infrastructure benefits and the privacy advantages of hosting data in Canada, and provide an in-depth checklist to help companies smoothly migrate data to a Canadian hosting solution. 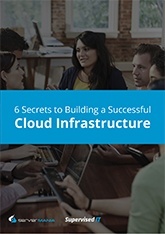 Having access to cutting-edge capabilities is only part of the journey towards cloud mastery and optimal infrastructure ROI. The cloud is a platform and a tool. It can be used well or poorly. In this white paper, we’ll show you how experienced cloud experts approach building a cloud platform that fully utilizes the cloud’s capabilities for efficiency and flexibility. Building a successful VPS firm is an immensley rewarding experience, but one that requires a significant investment of time, effort and capital. 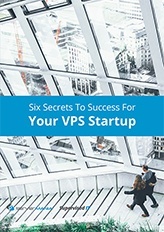 This white paper will take readers through the process of establishing a VPS company, from start to finish. ServerMania has a wide variety of clients around the world using our services in many innovative ways. Check out our case study page for details on how leading companies use ServerMania to meet all of their hosting needs.